Electricians' Wire and Kevlar cutting scissors from QuickTreX™ so precise that we named them "Wire Surgeon®"
Crafted in Germany of durable ice-tempered Solingen stainless steel that holds up under extreme use. This wire and Kevlar shear is precision designed for clean cutting and specially ground for use with wire, Kevlar, braiding, etc. Slight serrations on the blade prevent wire slippage and make dependable precise cuts possible. 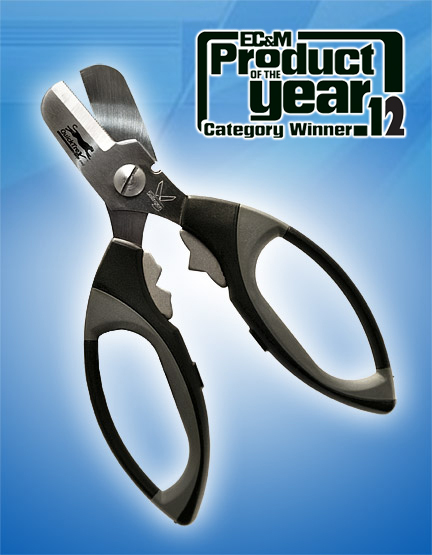 The ergonomically designed soft rubber handle provides fatigueless use suitable for right or left-handed people. 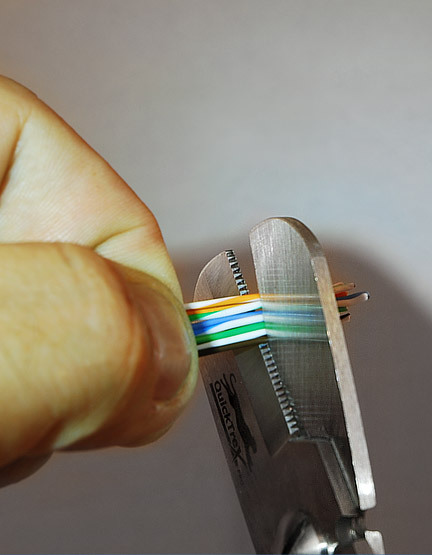 The scissors also incorporate a handy and easy to use wire stripper and splice and terminal crimper that can be used for copper wires from 26 to 18 AWG. This adds a good deal of functionality and makes them also ideal for those doing security systems and other low-voltage work. Whether you are a professional or amateur, you will agree that these are the best wire and Kevlar cutting scissors that you have ever used!